What's the worst failed attempt to create an awesome new hero? A lot of the most famous adventure heroes are getting kind of long in the tooth. Batman is turning 75, Doctor Who just turned 50. But injecting new blood? Harder than it looks. A lot of "new and awesome" heroes fail within the first year or two. But what's the weakest effort at creating a brand new badass hero from scratch? Please include a picture or book cover or clip for your chosen hero. And please mention his or her name, plus where he or she was published, and why it was a sad effort. Thanks! 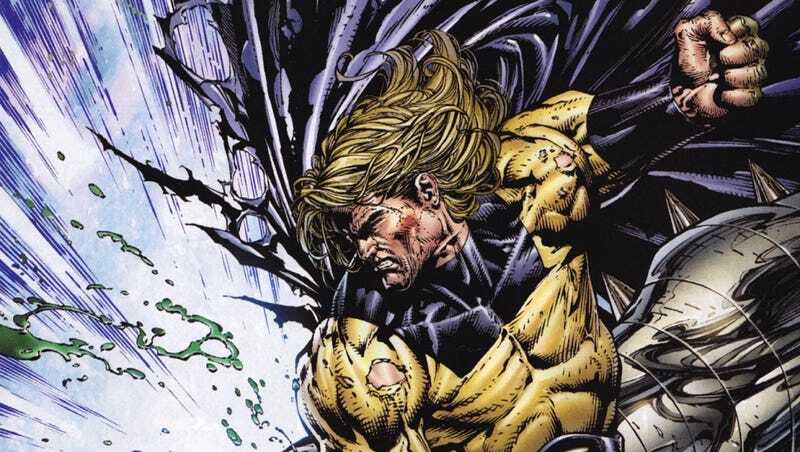 Top image: The Sentry from Marvel Comics.